Color(s) Shown: this animal print only! 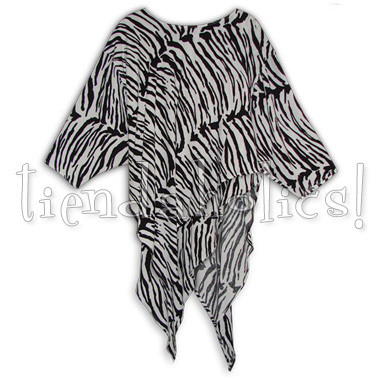 This Nawari is earthy and wild in tiger/zebra print (usually a long wait special order fabric) purrfect for cat lovers! The two-layer style is all kinds of crazy as it is... but in jungle print it's pure tribal magic!